Monotype is the company behind many beautiful typefaces we feature here on Digital Arts, but it's becoming more than just a type company. A recent focus shift sees Monotype offering brand expertise across digital and social platforms with the acquirement of independent services Olapic and Swyft. Speaking to managing director of Monotype, Christopher Kollat at Typo Berlin 2017 we discover a new vision for the type company. Monotype has been known mainly among die-hard typographers, type designers, graphic designers and developers, but is now providing design assets that address the needs of brands at their different touchpoints. 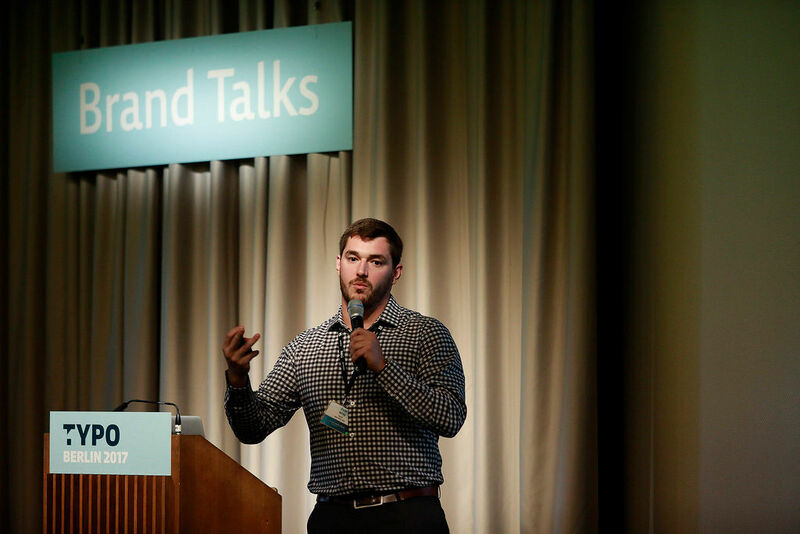 Christopher joined Monotype two years ago from a digital marketing background. "Monotype only addressed designers and the design scene, which is fine and we will continue to do that, but we want to build a a solution set with the entire marketing value chain in mind," he says. At this year’s Typo conference in Berlin, the first set of 'brand talks' were established and Monotype itself was tagged "experience your brand" for the first time (as seen in the banners above). "People come to this conference and they know Linotype, they know Fontshop, but they don't know Monotype in Germany really, so we have to give a new face. At Typo, adding the brand talks is the key element to bring this together," he says. Monotype has also acquired digital platforms Olapic and Swyft in a bid to "open doors" and make connections with a brand's entire marketing team, which it might not have otherwise engaged with. "Many times, the sales discussion would start with someone in the IT department. Today we want to address marketing teams, the brand managers and the chief marketing officers; it’s a different ball game," says Christopher. As well as acquiring Olapic and Swyft, which both work independently under Monotype, the company has put a focus on digital fonts and digital advertising. 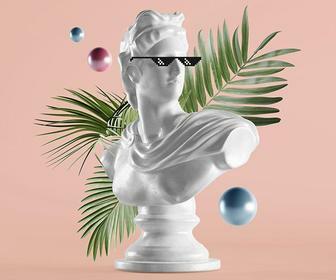 For example, Virtual Reality glasses use fonts, and Monotype is starting to see a demand in this sector which happens to be popular among automotive companies – of which there are many in Germany. "We really have the expertise levels, they're unbelievable, but the company has been so inbound, and now we’re going outbound," says Christopher. We take a look at what Olapic and Swyft and why their services are important in a world of user generated content. Olapic is an earned content platform - essentially a service that trawls through millions of social media photos (mainly posted to Instagram) everyday to find images that could be used by a brand for marketing and advertising. Olapic now works with over 500 brands only six years since it began, including Calvin Klein, Loreal, Unicef and The Body Shop. When the company started with "three Spaniards studying business in New York", there were 100 million photos uploaded to the internet each day. Now there are four billion photos uploaded each day. Co-founder Jose de Cabo and his team of now 200 people look for photos of brand products through hashtags and word mentions everyday. They use machine learning to analyse data to discover which photos are performing well, and which aren’t. At this stage spam has to be filtered out, such as "people posting for the sake of being noticed" or trying to resell a product. Olapic will then preselect the best images to get "genuine content". 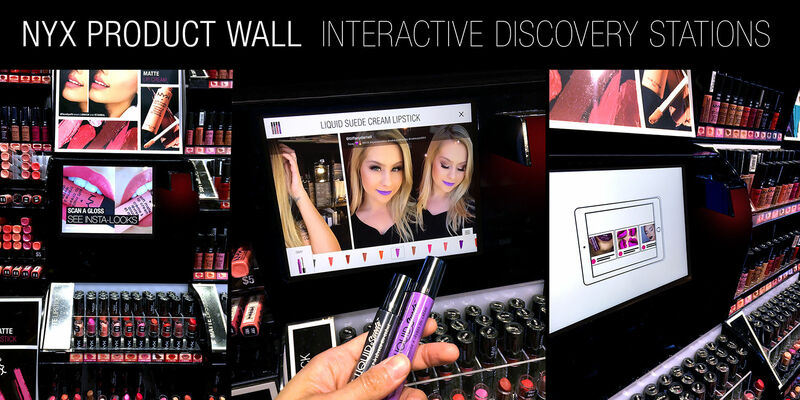 From there, Olapic uses computer vision to match the photos found on social media with the brand product, to see if the product is "on or off brand". 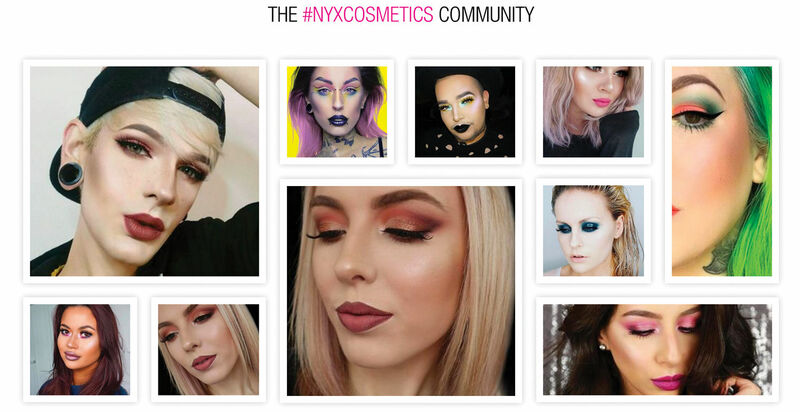 If it’s on brand, Olapic will send these images to the brand who then decide if they want to use them or not for marketing purposes, such as appearing on the brand’s ecommerce website or on screens in the physical store, as seen below with customer implementation for NYX Professional Make-up. "So if you took a photo running with your Adidas shoes, and you mention Adidas somehow, we can take that photo and say 'Oh, those shoes are actually model X'," says Jose. "If the [brand] likes it, then a mention goes to that consumer who took the photo, coming from Adidas, saying 'Hey, I love the photo of you, can I use it?' and the consumer says 'Yes you can'." This is obviously beneficial to the brand, but begs the question, what’s in it for the consumer? Jose says first of all, if a consumer has taken the time to mention the brand in their Instagram post, for example, they’ll want to be part of the brand experience. 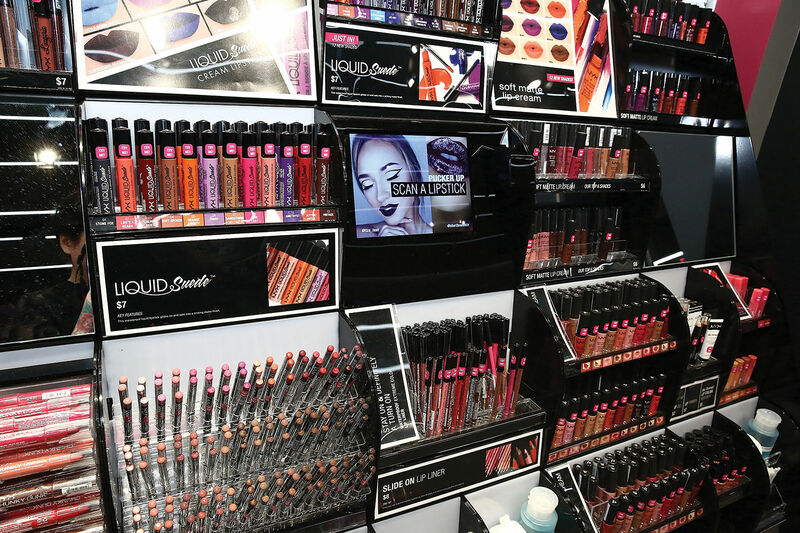 If the brand chooses to keep the consumer engaged, it can send out free product samples, or give a surprise VIP invite to an event. 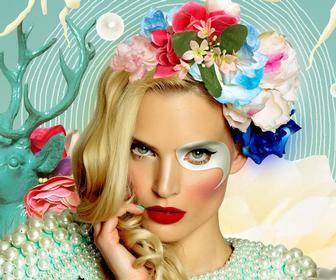 For example, Olapic’s client Kiehl took its biggest social media influencers to Coachella with Kiehl products, then created independent galleries on the Klein website to show brand engagement and how the influencers used it, such as providing beauty tips. "Most of it is real people and real consumers who like sharing, and a small portion is influencers that really start to have a following and an audience. "Most of them don’t do it as a full-time job, but they do it as something they like to do on the side because they love taking pictures and they can get rewarded for it," says Jose. He says user generated content won’t replace traditional branding; it’s just a "piece to the puzzle". "Brands are not what the designer or marketer says they are, they’re what the consumer says they are, and that’s a reality. The control is on the consumer now. If brands embrace that, then they’re able to channel it in the right way." He describes the "democratisation of content creation", and how not everybody is a good photographer, but there are a lot of them. Essentially his whole business relies on the value in this. "Content creation as an art form in the past was done by very few people, and they were very good eye for photography and design and now it’s been 10 years and we all have a camera in our pocket and we can take pictures all the time. "Why not as a brand tap into that because they can interpret the brand in ways you never would have thought of." 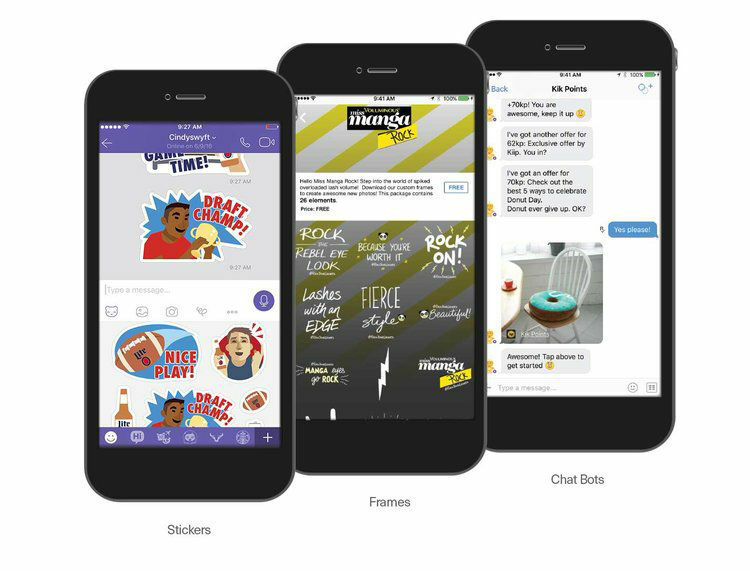 Swyft is a mobile engagement platform for brands to create stickers, filters, overlays and clickable emoji (that can link back to a landing page or movie trailer, for example) to be used by consumers in popular messaging apps across the globe, including Viber and iMessage. Messaging apps are challenging because traditional advertising doesn’t work as well. 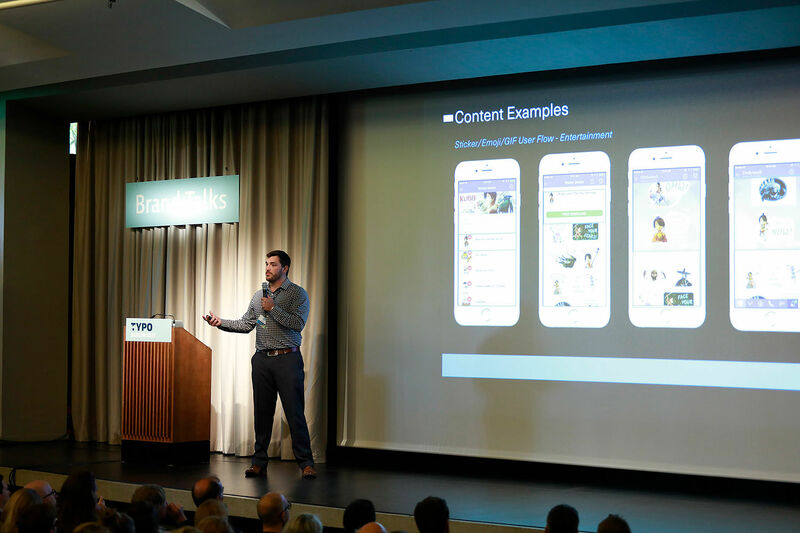 "You can’t have a banner ad or a pop-up but users like content, so finding a way to mix that brand message into user content is a neat combo," says Swyft co-founder and vice president Evan Wray. 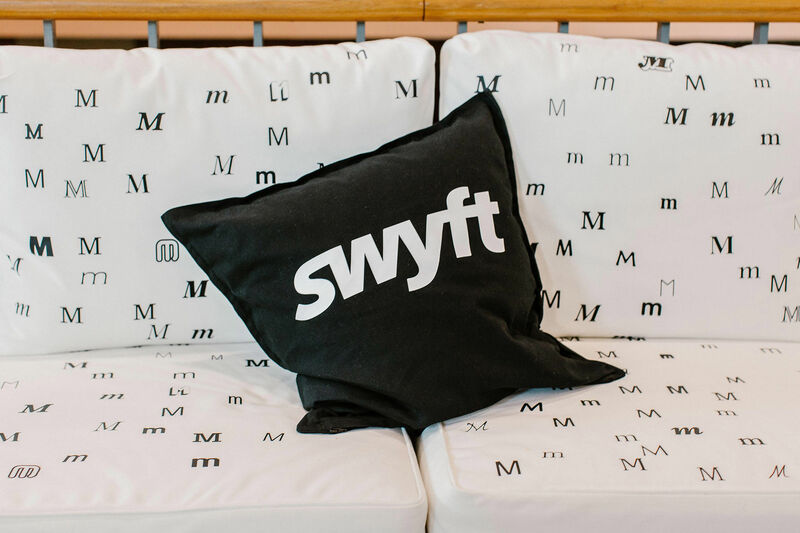 Brands use Swyft to build their own campaign – whether they wish to upload their own creative content or use content designed by an in-house design team at Swyft (based in New York and Korea for Eastern and Western markets). Brands can choose a budget, when they want the campaign to run and the nature of the content. The brand will submit the campaign to the app store before Swyft reviews it for brand guidelines and then pushes it to a target audience. 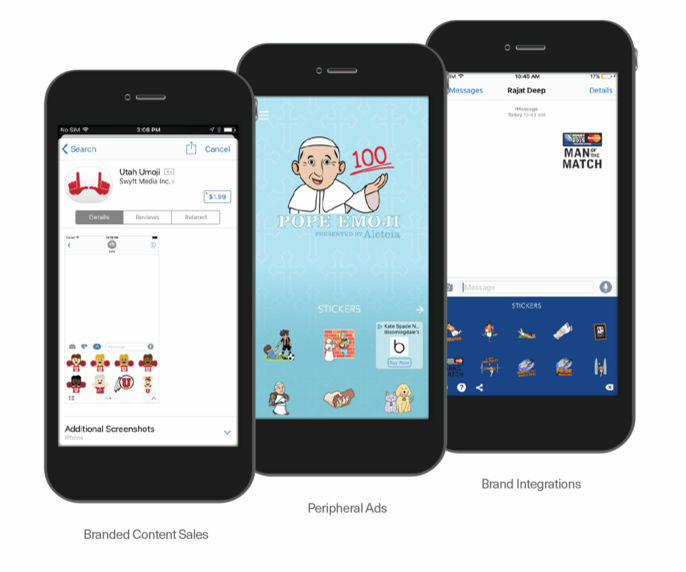 Users can then choose to download the sticker sets or emoji, for example, to share in their conversations with friends and family, essentially heightening brand engagement. 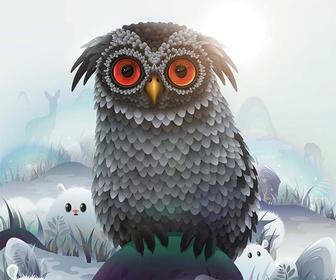 Swyft already works with 300 brands including Fox Entertainment, Starbuck, MGM and Holiday Inn. "Our core brands are entertainment and beverage, they tend to be things people talk about a lot, so it makes for good conversation," says Evan. "We collect data on what’s happening which is shared in the same platform to the brand partners so they understand what the best content is, how many impressions are being generated, how many people click through, where they’re going and what the sentiment around the content is," he says. "Brands can target different users depending on what [messaging] app their [target audience] are on. What we like to do is have a large scale, and if you’re a brand coming in saying 'I really want to hit 17 to 20-year-olds in the UK that like cars', you can target them." Although Swyft currently uses in-house design teams, Evan says more brands and their creative agencies are outsourcing to creative teams. He says designers should be thinking about not only stickers, but how brand interactions can be an experience and not an interruption. "An emoji is in your keyboard, you can share it back and forth, it’s a fun interaction, but Starbucks paid for that to be there – it’s a marketing stunt – but an infomercial popping up in your conversation is a different experience. "From a design perspective, it’s about how you can integrate brands into a more native part of the user experience rather than traditional ads." But Evan admits, at this stage, this is really hard. "It has to be conversational and fun for people to share content, it’s not just a logo because that doesn’t work."